Warning. This post contains egg puns. When my new PT sent me her meal plan it had an Eggxtreme amount of eggs to be consumed- 6 a day! 6 eggs, 6!!!!! I was really upset to learn that chocolate eggs don’t count- reckon I could go a full bakers dozen on chocolate eggs. Now I like eggs as much as the neggxt guy (sorry) but the thought of eating 6 a day makes me feel positively horrific. How do you like your EGGS IN THE MORNING?? At work I’m against microwaving eggs. Sorry guys but I just don’t think it’s socially eggceptable. 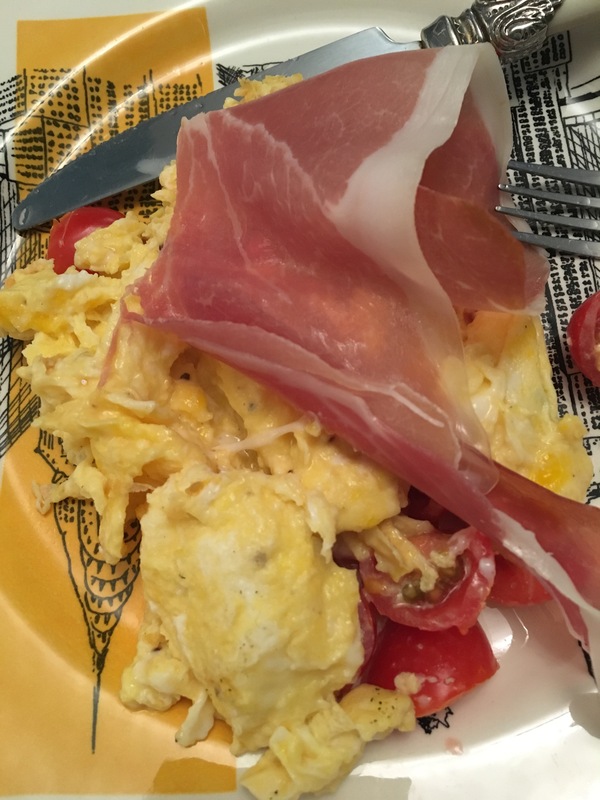 Yes, its practical and yes well done, you are getting your healthy fats in and a good dose of protein nice and early but seriously, we don’t all want to smell it. 1. POACHED: (they look like terrible aliens because I’m really bad at poaching) but they taste unreal with some avocado and bacon. 2. DIPPY: The king of eggs of course. Bit of toast- dream come true. Soft boiled eggs, the true challenge of any Michelin starred chef I’m sure, gooey yolk, hard whites. The trick for me is this- bring the water to the boil, chuck eggs in (mine are stored in the fridge for my sins) and boil for 6 mins. Not a second more, not a second less. I never move off the sofa faster than when soft boiled eggs beep at me. 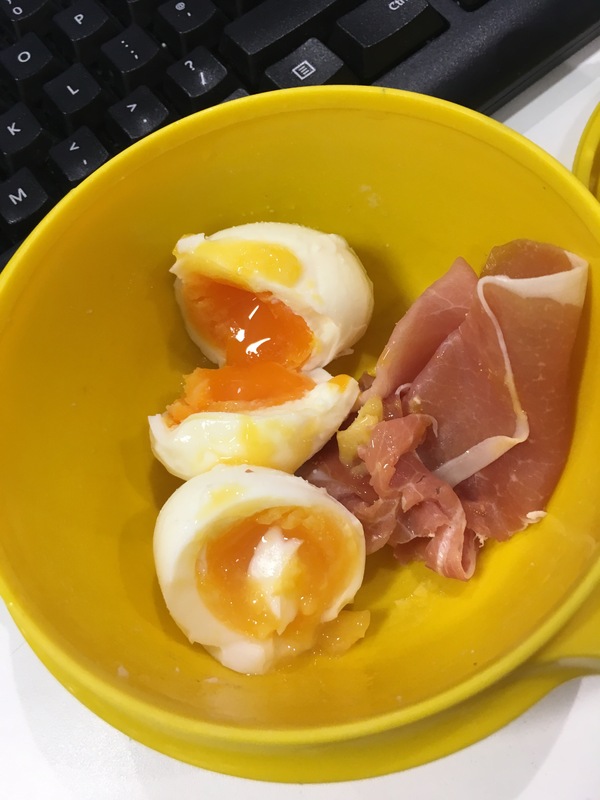 Straight into cold water and then boxed for a snack at work the next day- treat yourself to some ham with them so you don’t look too freaky tucking into an egg like it’s a delicious apple sat at your desk. PANCAKES : 1 x banana 1 x egg beaten together and fried in coconut oil. I slather them in Greek yoghurt and berries or dark chocolate and it’s bloody delicious. BISCUITS: I also sometimes make healthy biscuits- 1 x banana, 1 x egg, 1/2 cup pats and handful of dark chocolate chips. Add some cinnamon, squeeze of honey. Bash it all together and roll into little balls and bake for around 15 mins. Eat straight out of the oven with a cheeky little brew. So have an egg-cellent Sunday, no egg-cercise for me today – day of rest! Hope your weekend was cracking. Oh god, I’ve got to stop. Picked up these badboys in sainsburys this week- about £1. Well. What a bloody treat. As a normal consumer, anything that has skinny, slim, low fat etc gets my attention even though I more often know it’s a farce. But i fell for it and they are delicious. 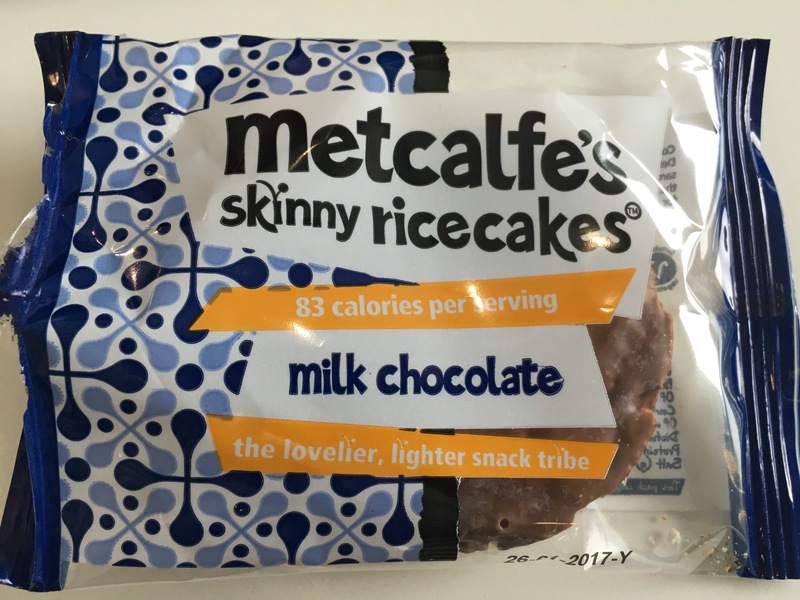 Rice cakes obviously have no flavour, resemble cardboard to the crunch, and have little staying power if you wish to spread anything on them. But. Smother them in chocolate and they are a bloody winner!!! A literal taste sensation. 83calories for a serving. Now obviously according to the pack a serving is one rice cake. 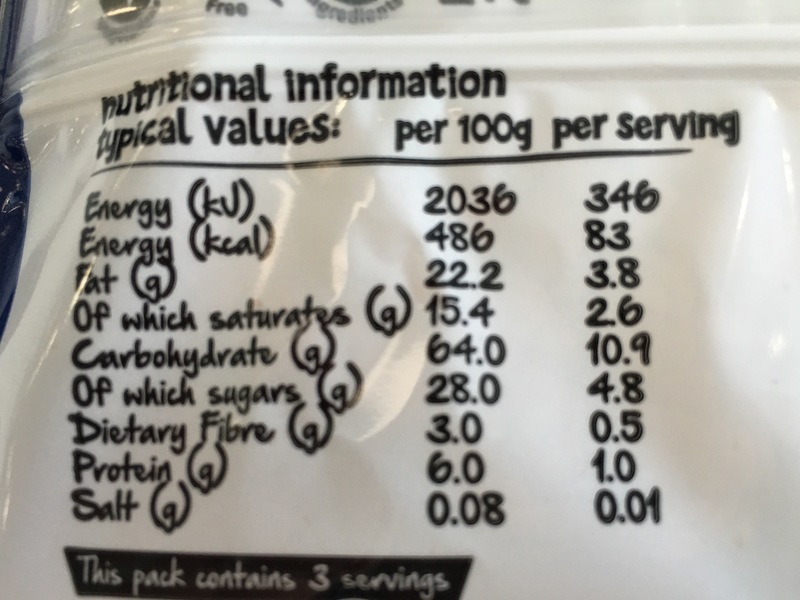 There are 3 in the pack- obviously the serving is therefore 3, totalling 249 calories. Not the lowest calories content of a snack but not the worst. Also not technically a healthy snack but I guess it’s marginally better for you than the kit Kat Chucky you’re about to it. It’s a defo 👍 from me but for a treat maybe once a week. Not twice in two days- whoops.